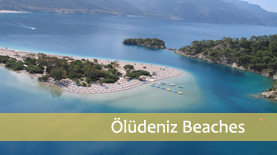 Set at the north-west end of the Gulf of Fethiye, Gocek is blessed with magnificent scenery. Backed by majestic mountains and substantial pine forests it looks out over the Twelve Islands, which provide shelter for Gocek\'s almost circular bay that has made the village such a perfect, natural harbor. Lured by such perfection, the yachting community has long made Gocek a favorite, and it is also a popular stop for gullet cruises. Gocek which recently became the meeting point of yachtsmen and lovers of the sea, has attained a justified fame with its natural position. The coves where colorful yachts ranging from the latest models to small vessels meet, can be visited in all seasons. 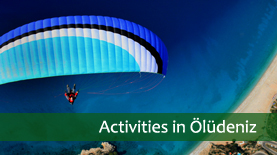 In addition to being an ideal place from the standpoint of wind, sea and air temperature, it is only 22 km from the Dalaman Airport with international standards. Also the yacht marina built in recent years and improved rapidly has placed Gocek into a privileged state.